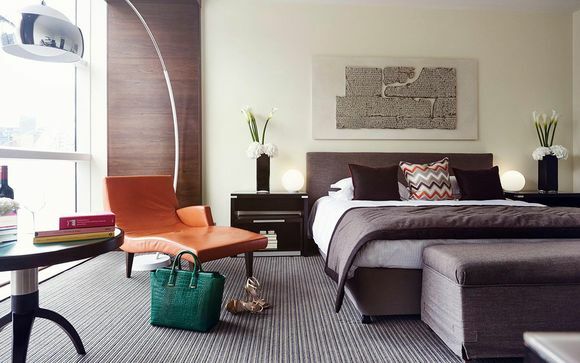 The Lowry Hotel is uniquely positioned near the city centre, with easy access to the shops of Deansgate via the Calatrava-designed bridge. Discover the hotel's amazing QMS Spa - a revolutionary wellness space that is the first of its kind in the UK. This iconic hotel is 1 of only 20 hotels in the UK to be part of Leading Hotels of The World. 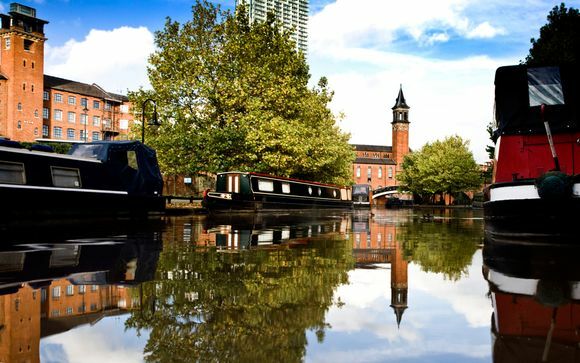 Indulge in some of the city's best shopping - visit The Arndale Centre (0.5 miles) for your high street favourites, or head to the Northern Quarter (1.8 miles), where you can get anything from vintage clothes shops to independent record and book stores, and edgy fashion labels to quirky gift shops. And a trip to Manchester isn't complete without popping into the Manchester Cathedral (0.4 miles), housing a gorgeous interior with medieval woodwork. The 5-star Lowry Hotel stands proudly on the banks of the River Irwell, with its sparkling glass exterior exuding sleek, minimalist style. Step inside, and the interiors are just as impressive - starkly modern yet welcoming, with an elegant feel. 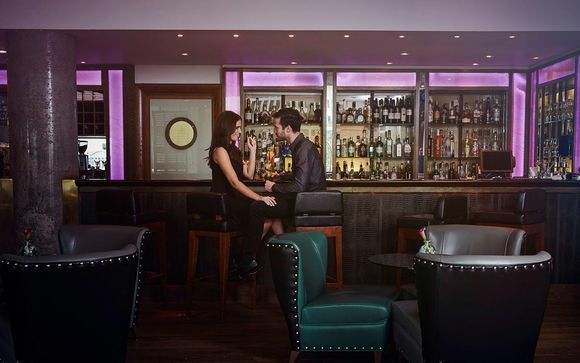 Home to a high tech new spa, and a stylish bar and restaurant, this is a great choice for fashionable couples who want to be within easy reach of the bustling city. This offer is based on a stay in a Superior Room with River View. 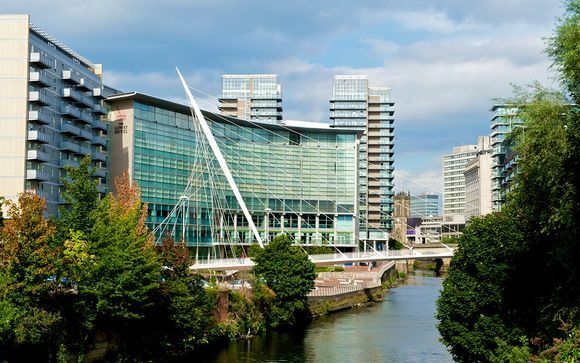 Wake up to inspirational views of the River Irwell, the sail-shaped Calatrava-designed bridge, and downtown Manchester beyond for a truly special stay. These rooms measure a spacious 35sqm, letting you relax in complete comfort. Just for you: 20% discount on food and beverages (except in mini-bar). The Lowry Hotel houses one of Manchester's best restaurants to eat and drink in a glass-walled, riverside setting. The River Bar & Grill exudes a convivial atmosphere, complete with deeply luxurious leather chairs and semi-circular banquettes, while mirrors, lithographs and prints decorate walls. The true highlight is the hotel's River Restaurant, which has been awarded 2AA Rosettes. The talented team of chefs source the best produce from across the UK, including hand-dived scallops from Orkney, slow-smoked salmon from Inverawe Smokehouse, beef from the Duke of Buccleuch Estates and chicken from Goosnargh, on the edge of the Ribble Valley. Lobsters are caught daily off Scotland's East Coast for those who wish to take their dining experience to the next level of luxury. Welcome to QMS Skin Spa at The Lowry Hotel: a world dedicated to your wellbeing. 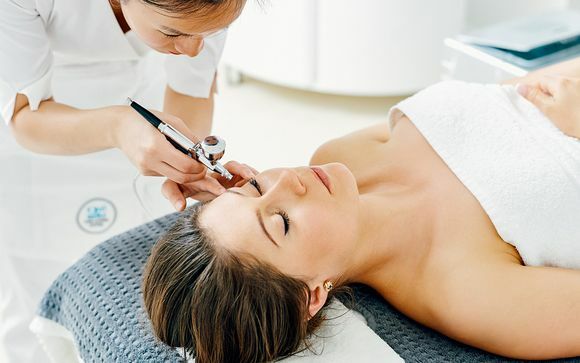 Styled to perfectly combine relaxation and advanced rejuvenation, this contemporary urban spa is the first UK hotel spa to feature the award-winning QMS Medicosmetics Skincare and Spa Treatment Collection. Located on the first floor of the hotel, the spa features 6 expansive treatment rooms, a relaxation room, sauna facilities, a dedicated mani/pedi area. There is also a gym and hair salon. A colonic hydrotherapy clinic is offered five days a week.